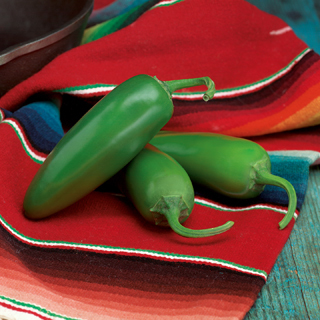 Compadre is perfect for making Jalapeno poppers fresh from the garden. Vigorous tall plants produce an abundance of large sized jalapenos with thick walls and large cavities perfect for stuffing. Spicy hot, these peppers get hotter as they mature from green to a beautiful bright red. Continues to thrive and produce even under late season cool conditions. Tolerant to both low and high temperatures. Mature red 80 days / green 70 days. Plant height: 22 – 25+” tall. 70 days.